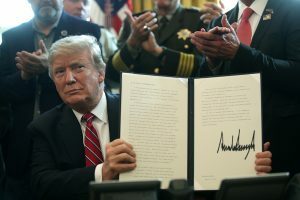 A presidential declaration of an emergency triggers possible presidential use of additional powers set forth in over 100 other laws, as long as the president tells Congress which powers he’s going to use. Since 1976, presidents have issued 60 emergency orders, over half remain in effect, including the very first issued by Jimmy Carter on November 14, 1979. For the first 59 of the orders, there has never been a congressional resolution to terminate the emergency. The 59 unchallenged “emergencies” have covered many subjects, including Iran, Nicaragua, South Africa, Libya, Panama, Iraq, Bosnia, Herzegovina, Serbia, Cuba, Burma, Sudan, Montenegro, Sierra Leone, the Western Balkans, Zimbabwe, Syria, Côte d’Ivoire, Belarus, the Congo, Lebanon, North Korea, Somalia, Yemen, Ukraine, the Central African Republic, Venezuela, the Russian Federation and Burundi. Of the unchallenged 59, there’s three on the list that might look and sound like emergencies to most Americans: emergencies declared in response to the Iranian hostage crisis in 1979, Hurricane Katrina and the terror attacks of 9/11. The other 56 are largely “emergencies” declared in the pursuit of some foreign policy goal. 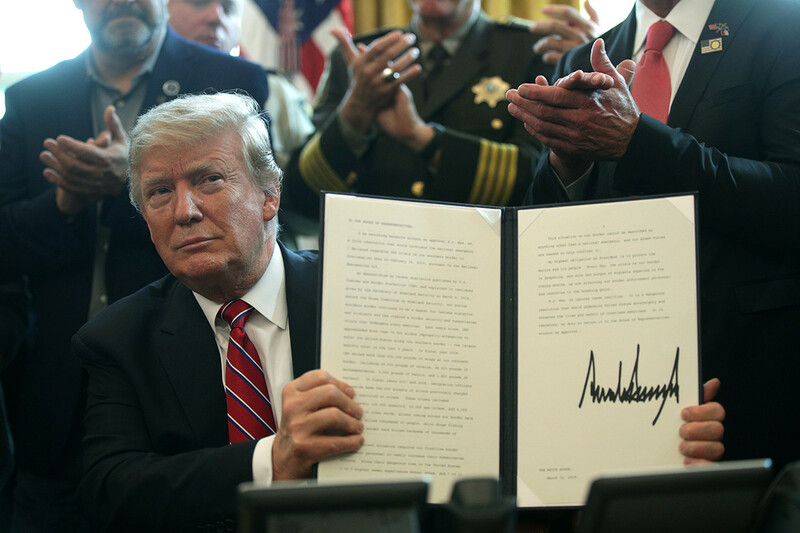 The 60th emergency, and the first to be challenged, involves the Southern Border of the United States, and was declared by President Trump on February 15, 2019. The proclamation is worth reading. Each argument is easily refuted. President Trump’s action was clearly constitutional. He acted with authority delegated plainly by Congress to declare the emergency. Congress had further delegated authority to utilize previously appropriated funds to address the emergency. Many of the Senators received praise for standing up to the president or courageously defending separation of powers and other high minded rationales. In the end, these Senators, failed the American people, in voting to terminate, they voted to terminate the only presidential declaration of emergency out of 60 that directly addressed the safety and security of the American people. Those 12 Republican Senators gave neither cogent nor valid reasons. Read the Resolution they voted for, they simply said: “There’s no emergency”. President Trump vetoed the Resolution on March 15, 2019. That leaves the declaration intact with little likelihood that Congress will override. Then, as always, it will be challenged in the courts. With the best of luck, it will be resolved by judges who read the law and not judges wanting to impose their own will. The Act also provides that unless the President renews an emergency 90 days before it’s a year old, it also expires. Congress can “override” the veto with 2/3 vote of both the House and Senate. That was the first emergency. It was declared by President Carter, and it remains in effect today. President Obama declared 11 “emergencies”, none were challenged.